Come join us for one of our 8 day all-inclusive Week of Costa Rica Adventure vacation packages. 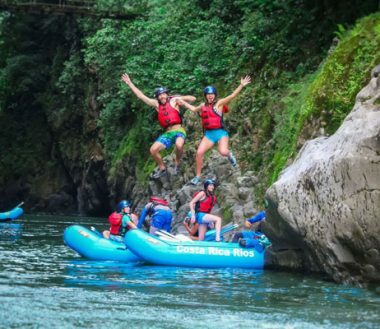 Offering Costa Rica’s most comprehensive multi-sport adventure tour, we at Costa Rica Rios specialize in giving you the most engaging and exhilarating vacation you’ll ever have. We provide you with the opportunity to explore the real Costa Rica by traveling to a variety of the country’s extreme natural landscapes. Witness the tropical birds and sloths while whitewater rafting to the Jungle Lodge, be privy to the rainforest’s awe inspiring natural beauty as you zipline through the canopy and soak up the vitamin D while surfing or snorkeling in the Caribbean coast’s clear blue water. Based by an active volcano, we are the epicenter of adventure and promise you a complete tour of all that Costa Rica has to offer. 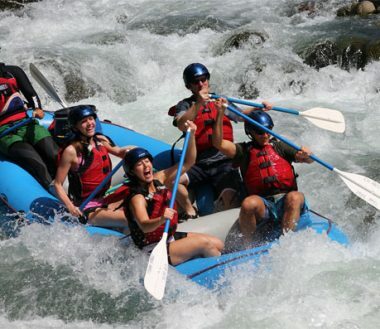 Our adventure vacation packages boast activities such as surfing, mountain biking, canopy tours, whitewater rafting and so much more. Our professional and highly skilled guides, who live and work to share Costa Rica’s nature and adventures with you, will accompany you throughout the trip. With your safety in mind, they will ensure you the best possible experience. 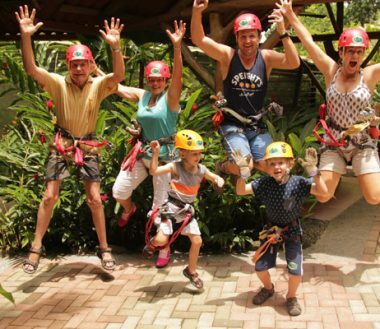 Our tours are ideal for families and are also a great vacation for single travelers wanting to meet other active and exploratory people like themselves. 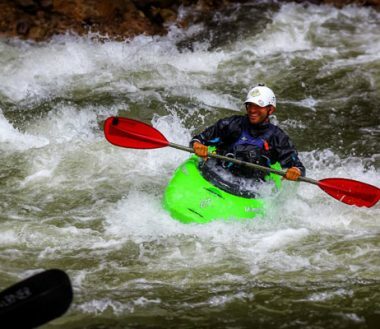 Jam-packed with new experiences and exciting activities, our multi sport itinerary is the most adventurous way to experience the beauty and nature of tropical Costa Rica. This Costa Rica Adventure Vacation will be one that you will Never Forget! , which includes a detailed trip description, daily itinerary, packing list, frequently asked questions, how to register and much more. Please feel free to contact us directly if you have any additional questions. We are here to help you make this the best vacation of your life!